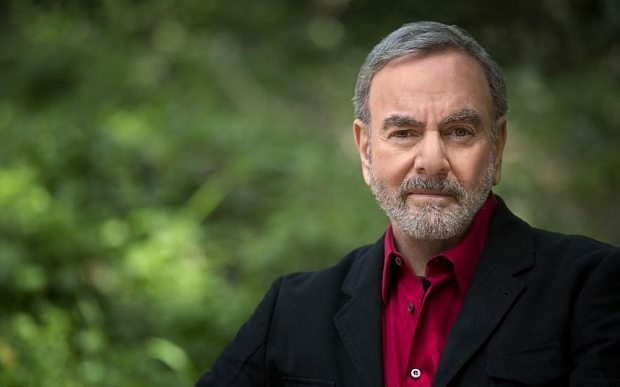 Neil Diamond wanders the drab, fluorescent lit corridors of Erasmus Hall High School in Brooklyn, where back in the Fifties he sang in the choir with fellow alumna Barbra Streisand, played acoustic guitar, started learning piano… and dreamt of becoming a doctor. “I’m not so smart,” the veteran singer-songwriter insists. “If I was smart, I’d have got through medical school, I’d be a biologist, and I’d have discovered the cure for cancer. Medicine’s loss has been music’s gain. Diamond dropped out of New York University at the end of his junior year in 1958 to take a job on Tin Pan Alley for $50 a week. It took him eight years to write his first hit, Solitary Man in 1966. But since those modest beginnings, he has sold over 125 million albums and created some of the most enduring songs in pop, from the Monkees’ I’m A Believer to such Diamond classics as Cracklin’ Rosie, Sweet Caroline and Song Sung Blue. His last album of original material, 2008’s Home Before Dark, was number one in both the US and UK. With a new album, Melody Road, to be released on Monday, Diamond is at his old school for a promotional concert, his first performance in his native Brooklyn in more than 50 years. “The memories are flooding in,” he says in the same gritty tone that flows through his music. His very first song, written aged 15, was a simple doo wop ballad called Hear Them Bells. “I haven’t learned that many new chords. There’s 20 or 30 that I’ve used for my entire career. I feel I’ve hardly scratched the surface. The variations and destinations for these melodies and chords are almost infinite, and the number of stories that you can find to write about. I always thought that within the confines of my garden at home, there are at least a million songs that can be written.